Many moons ago, when Twitter was just invented, there used to be loads of social gatherings called “tweet ups”. I don’t know if they still exist, but essentially people who often tweeted each other would meet in person. I remember meeting a chap who was clearly disappointed that he was following me under false pretences. It was in the days before I “discovered” wine and I was on Twitter wearing a football hat. The hat being @claretsgirl. He’d followed me thinking “clarets” = “wine”. I can still remember his face. I think he’d expected wine recommendations but what he got was a Lancashire lass who could explain the off-side rule. 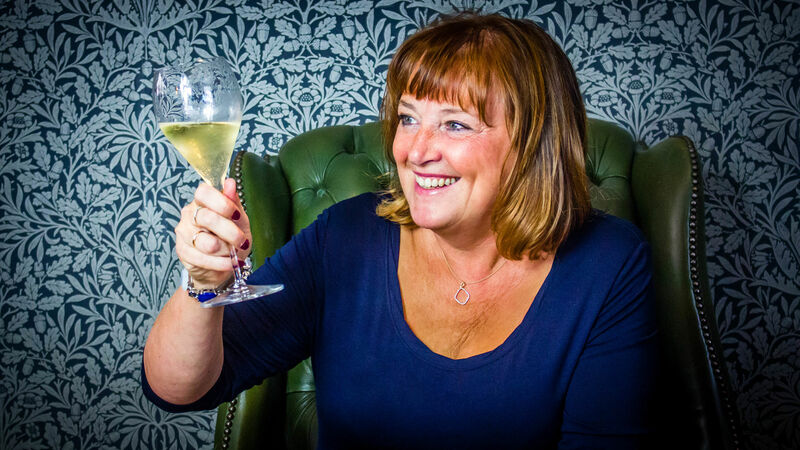 I hadn’t thought of the association before – wine and football – and perhaps it was a one-off. But no my friends, it appears there IS a connection between football and wine and it rests firmly with Claymore Wines from Australia. Anfield … I’ve been before as a football fan but never as a wine writer! Wines of Australia told me a Claymore tasting was in my neck of the woods so to discover more, I took a deep breath, donned my Twitter wine hat @JaneClareWine, and headed off to Anfield, the home of Liverpool Football Club. I needed the deep breath because my Twitter football hat – @claretsgirl – was feeling disloyal. On the day, LFC were above us in the Premier League separated only by goal difference. I made a point of mentioning it once or twice while I was there. What’s the connection between football and a winery in the Clare Valley? Anura Whittingham, the founder of the winery, spent many years in Liverpool and his love of the football club has shown itself in football-inspired wine names. In Australia, Claymore and the club began a three-year commercial relationship after the pre-season tour in 2015. Oh, Anura loves music too, which is revealed in music-themed wines. 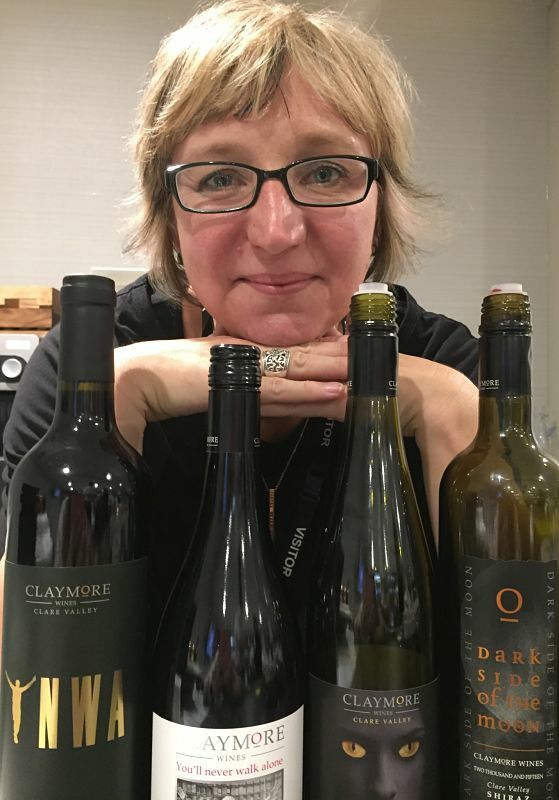 Here’s some of the wines I tried under the guidance of Carissa Major, Claymore’s general manager, who was finishing a visit to the UK with Claymore. The link with LFC was saved for the final day of the trip. You’ll Never Walk Alone GSM (£15.95, Whitmore & White) GSM indicates a blend of grenache, shiraz and mourvedre. There’s herbs, violets, eucalyptus and big bouncy black fruits in this wine. You’ll Never Walk Alone The Boot Room Shiraz 2013 (£18.50, tilleys-wines.com) Lots of dark fruits with a hint of spice and vanilla from 18 months maturing in oak. Skinny Love Viognier 2016 (£12.50, tilleys-wines.com) Grapes are grown on the Shankley plot. It is a low-alcohol fresh white with a green apple crunch, peach and a touch of sherbert. God is a DJ Riesling 2016 (£13.95, tilleys-wines.com) Grapes grow on vines up to 100 years old. It has notes of citrus (lemon and lime) and a playfulness with stone fruits. Superstition Riesling 2016 (£17.95, tilleys-wines.com) Yay the eyes have it. I love the label here, a bit scary. Carissa explained the wine is a perfect balance of flavour, acid and sugar. The wine is made from free run juices and the notes of lemon, lime and peach are restrained. Voodoo Child Chardonnay 2015 (£14.50, tilleys-wines.com) It has texture from some lees contact and hint of spice from French oak. A complex wine but structured, with citrus, stone fruit and vanilla. London Calling Cabernet Malbec 2015 (£13.95, slurp.co.uk) A delightful wine which has brought Claymore their first Decanter Platinum medal. Flavour notes include black fruits, raspberry, vanilla and black pepper. A bright fruit profile with oak influence. Dark Side of the Moon Shiraz 2015 (£16.95 tilleys-wines.com or £68.97 for three at Amazon) Rich black cherries and plums, with vanilla and spice from oak, and a smooth finish. The Joshua Tree Riesling (I can’t find a UK retailer) Grapes are grown on the Watervale vineyard. It is finely structured, with good acidity, lemon and lime citrus, a delicate minerality and some floral notes. Previous PostPrevious Rías Baixas wine region: Home of the albariño grape and amazing seafood!